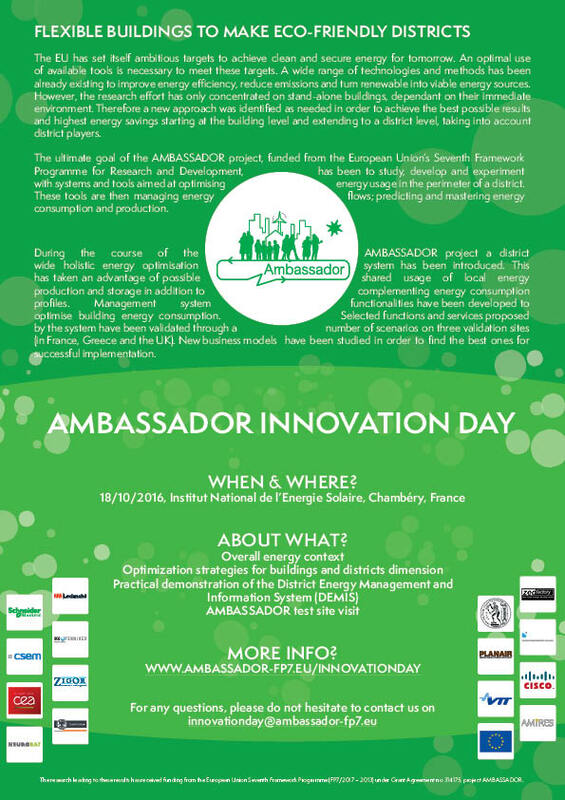 On 18/10/2016 in Chambéry (France), the AMBASSADOR project will organise its Innovation Day. 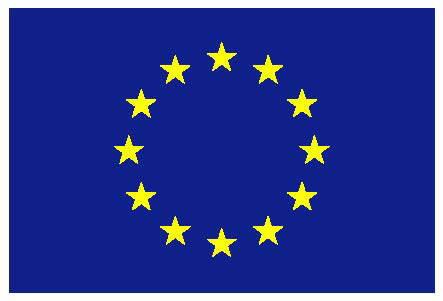 The topics to be presented will cover overall energy context, optimization strategies for buildings and districts dimension as well as the practical demonstration of the District Energy Management and Information System (DEMIS) developed within the framework of the project. More information is available in the right menu under Innovation Day.